Come visit the 1812 Hitching Post! You won’t find another place like us. We know wedding planning can be complicated and overwhelming so we have designed the 1812 Hitching Post so your wedding is both enjoyable and easy for you AND your friends and family. 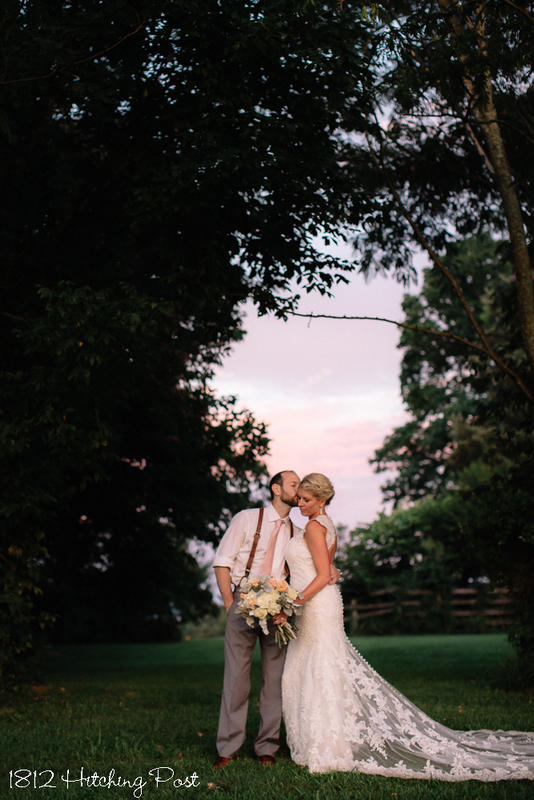 The 1812 Hitching Post with its 18-room main house and 26 private acres of grounds is the only authentic antebellum plantation in the foothills of North Carolina dedicated primarily to wedding ceremonies and receptions. We provide and set-up decorations, food, and beverages for you (you make all the choices). Many brides hope and dream for a magical, unique wedding and reception, but are overwhelmed with all the choices and the coordination of vendors. We help eliminate that frustration and hassle. You don’t have to coordinate bookings; we do everything for you that you don’t want to do yourself. Our venue includes top quality services in one place for your benefit. At the 1812 Hitching Post, we specialize in complete wedding packages for busy couples who want to leave the work of their wedding to us so that they can fully enjoy their special day. We know your time is valuable and that your first question is likely, “Can I afford all of this?” We’ve designed our prices so you can say “yes!” We know we’re an amazing value. Couples who choose us for their weddings said they knew right away that this was where they wanted to get married. Many people tell us they searched and searched until they finally found us and others say that we were the first place they found and they looked no further. 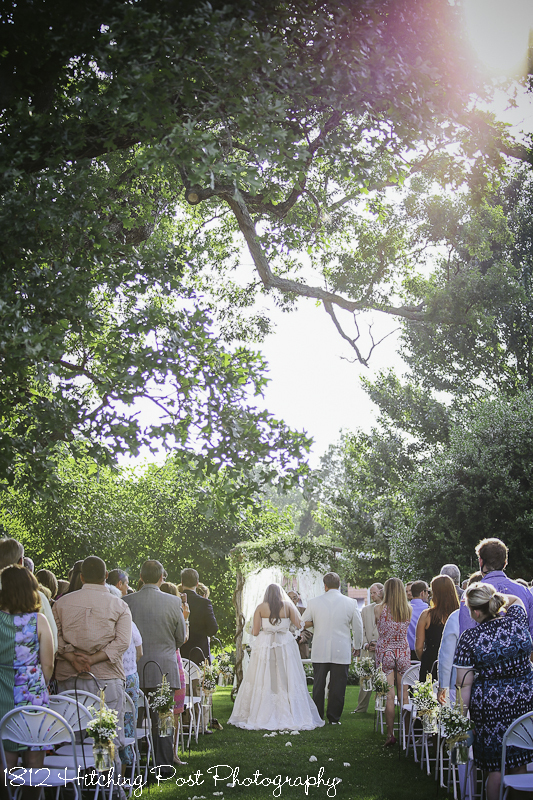 Tour our grounds, view our photos, and read the testimonials of our couples. If you are a couple who deserves a wedding this special, please email, text, or call to schedule a visit to come see us if possible. s you have. I know you are nervous and this is a very important day. We’re in the business of happiness and take our responsibility to you very seriously. Don’t know where to start? We can customize a package just for you. Please visit our Plan and Price page to receive pricing based on your own celebration choices. There is no better way for us to show you the magic of the 1812 Hitching Post than through our photography, so we’ve packed the web site with lots of photos that you can use to help imagine what your own wedding will be like. Every wedding is different here because every couple is different! We strive to capture each couple’s unique expressions of love for each other. We invite you to make an appointment to visit us at the 1812 Hitching Post. You’ll be so glad you found us! Be sure to read our reviews and view our Featured Weddings! All inclusive package: Our all-inclusive package is designed to include most things you’ll need for your wedding. DJ, photography, minister, chairs, tables, tent, beverages, decorations, set up and break down, wedding planning, and your choice of catering are included. Packages are designed for groups from 20 to 200 people. May be modified for reception only. Elopements and Small Weddings: These are packages design for the smaller or more “simple” wedding. Most are designed for 2 to up to 40 people and one may be modified for a ceremony, only for up to 100 people. We have elopements starting at $495! Please visit our Plan and Price page to receive pricing based on your own celebration choices.